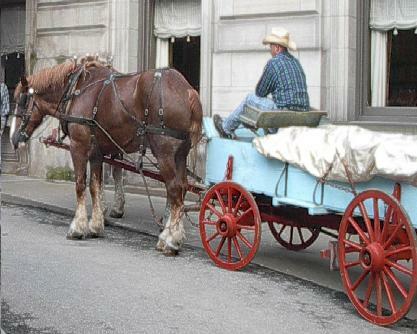 Horse drawn vehicles are our specialty. We can accommodate an intimate 2 person ride or a group as large as 27. Our teams/wagons can be used to create a theme or just to have a good time. 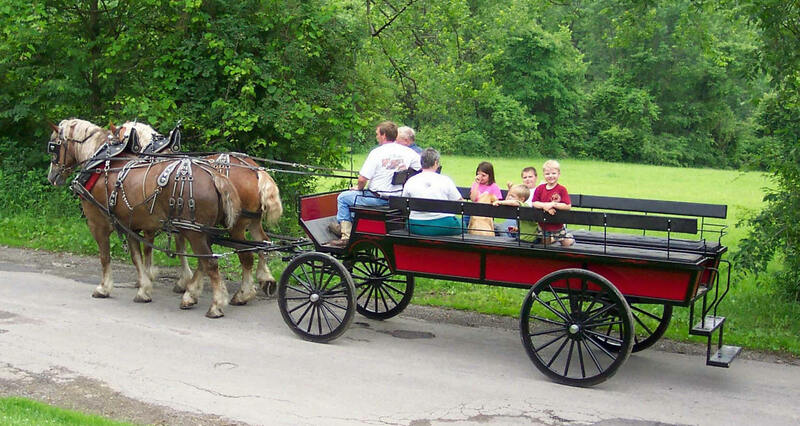 We have antique carriages for that special occasion. Call to see what is new. Trolley - Great for weddings, family reunions, corporate picnics. Wagonette Classy ride for all. Great for weddings parties of all sizes, parades, and family reunions. Having a winter wonderland ? 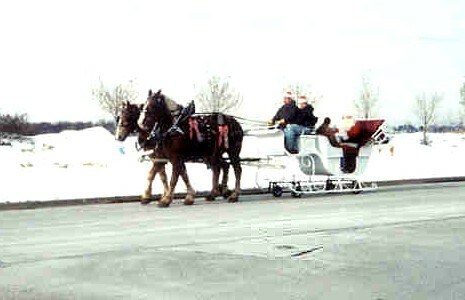 Arrive in our Sleigh for the ultimate winter experience.